While truck accidents cause a multitude of ailments, few are more severe than traumatic brain injuries. Lacerations and broken bones may be extremely painful, but they can eventually heal with proper medical attention. Brain injuries, on the other hand, often last a lifetime. 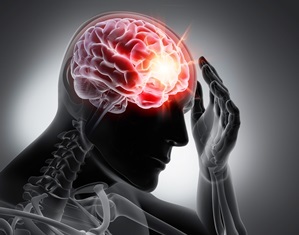 brain injury-related emergency room visits, hospitalizations, and deaths. Front-end and rear-end truck collisions are the two primary types of vehicle accidents that cause brain injuries. Traumatic brain injuries, or TBIs, may impact any portion of the brain, including the stem and skull. Closed head injuries. These are the most common truck accident injuries, occurring when the brain strikes the inside of the skull. In a truck collision, this typically happens when a passenger vehicle is rear-ended by a large commercial vehicle. The force of impact can cause the accident victim’s head to jolt forward suddenly, forcing the brain against the skull. This can lead to tissue damage, bleeding, swelling, and fluid on the brain. Open head injuries. These injuries occur when a truck accident victim's head strikes a hard object inside the vehicle, such as the windshield, dash, or steering wheel. This often results in skull fractures and puncture wounds, and lead to additional health complications, such as infections. TBIs interfere with a truck accident victim’s reasoning abilities, memory, and communication skills. Common symptoms include headaches, blurred vision, memory loss, dizziness, and insomnia. Severe brain injuries may cause seizures, vomiting, loss of coordination, and slurred speech. If you’ve experienced any of these symptoms after a truck collision, protect your health by seeking immediate medical attention. Then, protect your financial recovery by consulting an experienced vehicle accident attorney. To learn more, contact the law offices of Steve M. Lee, P.C., by clicking the Live Chat button on this page.